“Why spend money on girls’ education when they’ll be married off soon anyway?” This is something that I used to hear all the time when I would talk to the community elders in my village, Basho Valley. 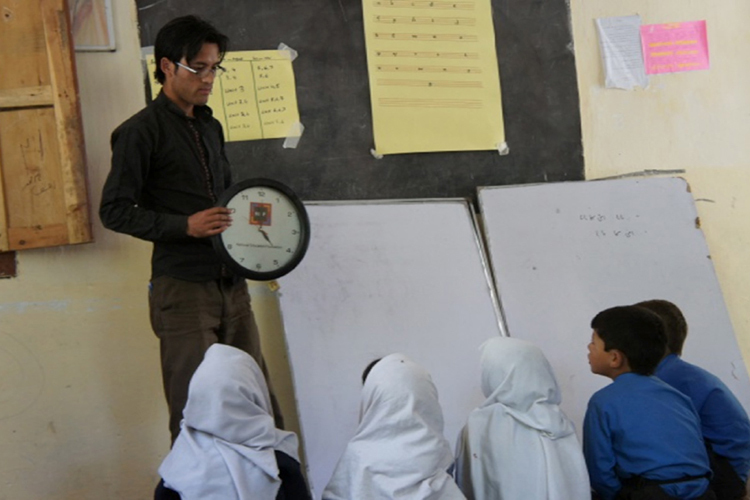 My name is Arif and I have been a community schoolteacher with Iqra Fund since 2014. I raise awareness for the importance of girls’ education and motivate fellow villagers to send their girls to school by telling them that one girl’s education is the education of her whole family. In the time that Iqra Fund has been working in my village, I have seen a great improvement in the attitudes of people regarding girls’ education, and parents have started sending their daughters to school. I feel happy to work with Iqra Fund, because we are not only increasing girl’s enrollment in school, but also creating a movement around girls’ education. I am also happy that I work with Iqra Fund because I have been able to develop my skills as a teacher through Iqra Fund’s professional development workshops and training programs. These have enabled me to learn modern teaching methodologies, which I am able to apply in the classroom. I teach students using active learning methods and use a variety of learning activities to keep my students engaged. I believe that ensuring quality education is just as important as getting girls into school, so I am happy that Iqra Fund is helping me become a better teacher. I hope to participate in more trainings in the future, and I am thankful to Iqra Fund for bringing quality education to the children of my village.